TASSIA AND CO., LTD. specializes in supplying original semiconductor memory ICs and modules to professional business buyers around the world. Over the years, the company established a reputation for delivering only and absolutely the right products at reasonable prices. 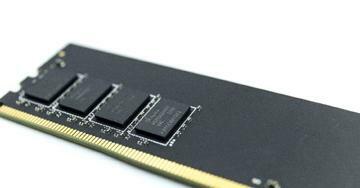 The widespread adoption of cloud computing services, AI and IoT has led to the increased use of memory in computer servers, workstations and all types of connected devices. With the global demand for computer memory rapidly on the rise, TASSIA has become an expert in in supplying memory kit solutions. Simply contact TASSIA and provide them with a list of concrete specifications for the memory ICs and modules that you're after. Based on the specifications you provide, TASSIA can have the corresponding samples ready and available for your approval within around a week's time. TASSIA is also able to provide immediate follow-up preparation for various types of orders upon inquiry. As a part of its global strategy, TASSIA is inviting opportunities to work with potential business partners to represent the company in different regions and world markets. For all your memory needs, you can count on TASSIA to supply you with excellent kit solutions all in one place in one go. Source: TASSIA AND CO., LTD.